This is the first video game I ever made. I was 12 or 13 years old at the time and I was experimenting with Game Maker (version 6.1 at the time). 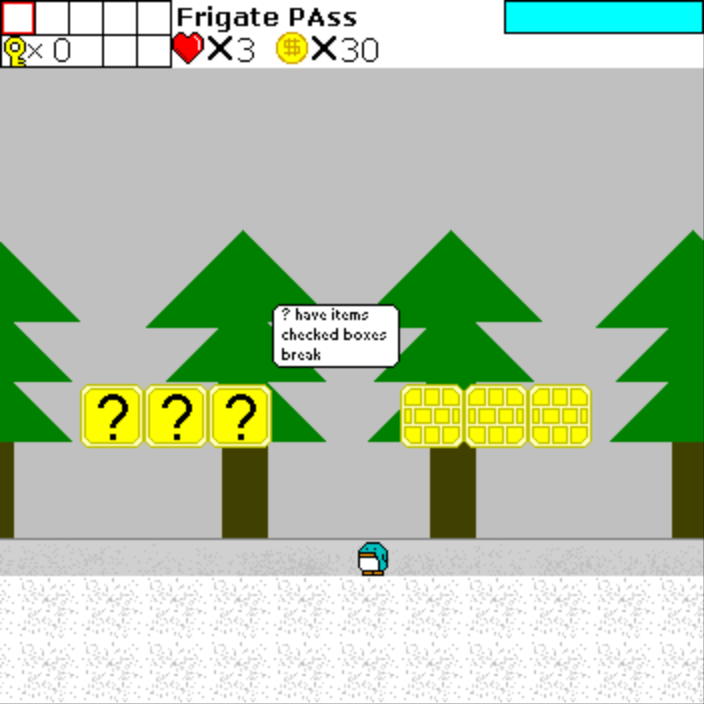 I made this game for a Winter Game Contest. It was played a lot by the community and a lot of users enjoyed the game at the time. My friends at middle school thought it was cool. I even saw people that I didn't know sit in the school library and play it! I converted it to work with Windows Vista, 7, and 8 and left it in it's original form so everyone could see how much I have grown as a developer since long ago. All the graphics, story, level design, and music was done by me. My parents helped me out a lot with supporting me through development, often staying up late and watching me design it. The first boss (the walrus) was drawn by somebody in the Game Maker community and given to me. I think his name is still in the credits page in the game. Thanks friend! A platform game where you are a penguin who has to save the snow! Was going to enter it into the Winter Competition but time zone difficulties occurred. I know about the glitches, might just make an upgraded Pengy game later.